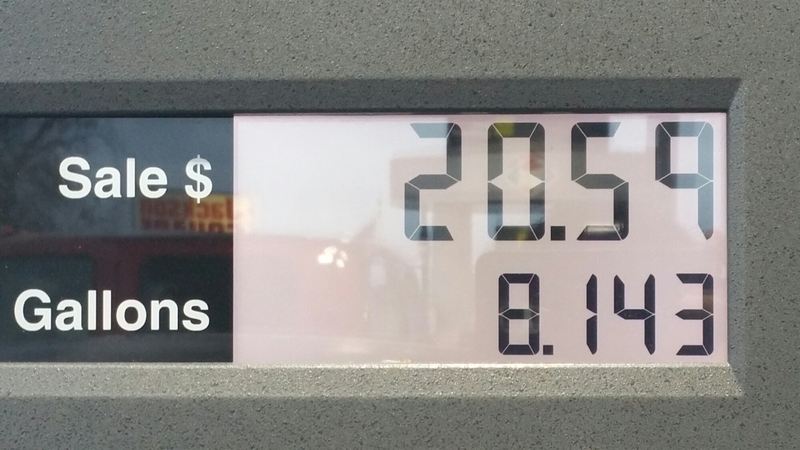 I filled up last night. Here’s the mileage! 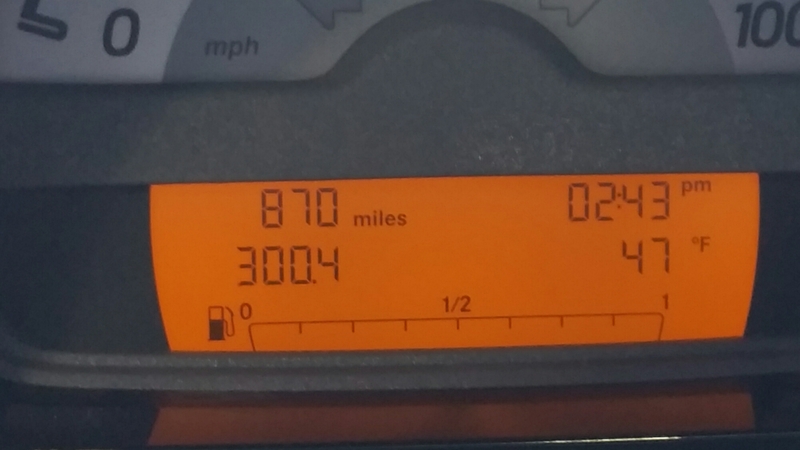 300.4 miles/8.143 gallons = 36.89 mpg! That was almost all in town driving, too! It will be interesting to compare that to this next week which will have a lot of highway miles.